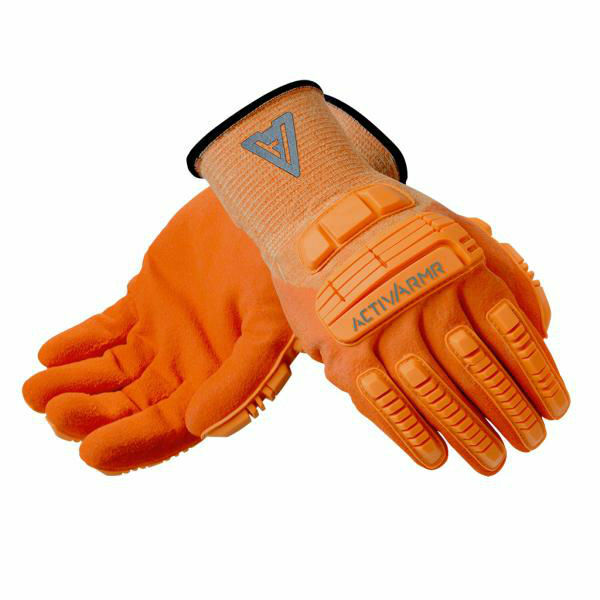 Providing best in class oil and impact protection, the Ansell ActivArmr 97-120 Hi-Vis Kevlar Rugged Work Gloves have been developed to cope with the most rugged work environments. 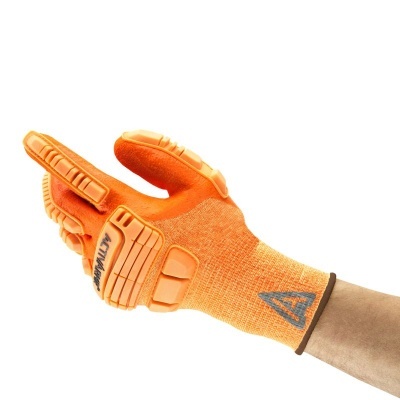 Featuring Ansell's proprietary Grip and Intercept technologies, plus a DuPont Kevlar lining, these gloves are produced using cutting-edge materials and methods in order to keep your hands fully protected against a variety of risks. The Ansell ActivArmr 97-120 are designated Category III gloves, meaning they feature a complex design which is intended for the highest levels of risk. The Ansell ActivArmr 97-120 are supplied in four different sizes. Please measure the circumference of your hand around the knuckles (excluding the thumb) with your hand open and your fingers together, and the length of your hand from the tip of your middle finger to your wrist.